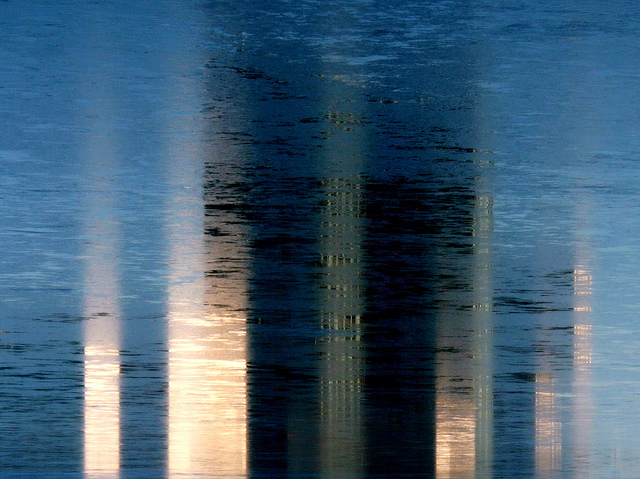 This is a flipped reflection of a building complex seen across the partially frozen lake from the park near our home at that time. It reminds me of some abstracts by Gerhard Richter. As such it fits in the series of painting-like shots in the style of the masters that I was exploring at the time.